I love planks. There are few exercises that work the entire abdominal wall more completely than planks and plank variations. Today we’re celebrating all these plank variations by throwing quite a few of them at you… all in the same workout! I call it my “Ultimate Plank Challenge”!! Sixteen 30-second plank holds resulting in 8 straight minutes of gut-wrenching fun! I did this one two days ago and am still feeling it! Try to contain your excitement – here we go!! All you need is a stopwatch and a little space! 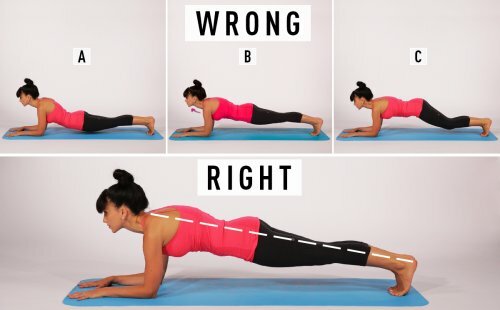 We’re going to be switching up primarily between straight planks and side planks; try to keep your body up the whole time (don’t ever let it relax – just go straight in to the next exercise).